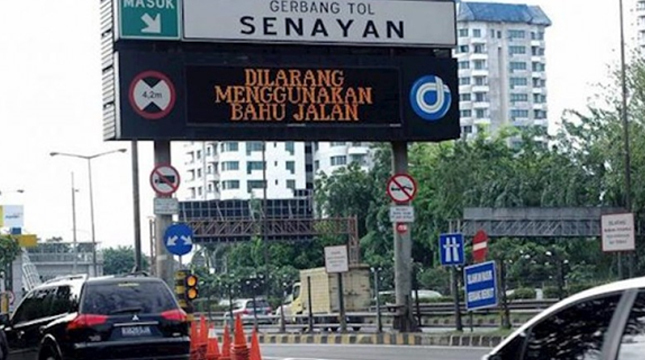 INDUSTRY.co.id - Jakarta - The government will soon enforce the integration of the Jakarta Outer Ring Road (JORR) tariff. Hearing the plan, positive response emerged from the industry players. One positive response came from the Indonesian Logistics and Forwarders Association (ALFI). ALFI's Deputy Chairman of Kompar Temen, Ian Sudiana said that his party supports JORR Toll Road Integration and Tanjung Priok Access. "We of ALFI strongly support the integration of JORR Toll tariffs and Tanjung Priok access, because with single pricing, for us to provide certainty of service," said Ian after attending the focus group discussion "JORR Toll Integration Benefits for Logistics Performers" at Ibis Hotel, Cawang, Jakarta, Thursday (28/6). The reason, it is assessed by the integration of tariffs JORR Toll and Access Tanjung Priok the fore the fewer doors that must be passed by business actors and other logistics. "This is a great initiative, once integrated, the fewer doors we have to tap or skip, so once paid, it gets to the end without any constraints," he said. Ian pointed out, if previously the path passed by the logistics transport vehicles namely Tanjung Priok via Kebon Bawang and Rorotan, originally had to pay Rp 45,000, then in Rorotan again pay Rp 20,500, the total cost to be paid on the route reached Rp 65.000. So with the implementation of the integration of the tariff, the cost to be spent on the same route is only Rp 30,000. "The single tariff is only Rp 30,000, round trip Rp 60,000 compared to Rp 120,000 or the lowest Rp 86,000 if not through Kebon Bawang, but take from Rorotan, so it is better (tariff integration)," said Ian. According to the analysis, each class of vehicles with the farthest distance has decreased costs by 70 percent. With details of group one down by 70 percent, groups 2 and 3 fell by 40-60 percent, while for groups 4 and 5 there was a cost reduction of up to 30 percent. "Car I class there is an upward adjustment, but for us in the logistics adjustment becomes positive, so we are ready to support," said Ian Sudiana.